Have you watched Shankar’s 2.0 yet? Well, we did!! Velocity believes in making work fun and small family dates. It just started with someone wishing that they could go and watch Rajnikanth at 2.0 and Akshay Kumar as Pakshirajan face to face and the wish was granted. The email that came through on a Friday evening to mad the idea of Monday look brighter and had something to look forward to. On a Monday morning, everyone was discussing the evening plans. That Monday, the 3rd of December 2018 was different because everyone was eagerly waiting for sundown because the show was to start at 7:45 and the Velocitians were to leave at 7 from the office. The day went by in a few clicks and it was finally the time for the employees to leave for U.S. Cinemas. We all left the office in cars and on bikes to reach on time and actually got enough time before the movie started to pose for the shutterbugs. After all, we all love to get clicked no matter what the occasion is and whether it is in bright in the morning or in the evening. 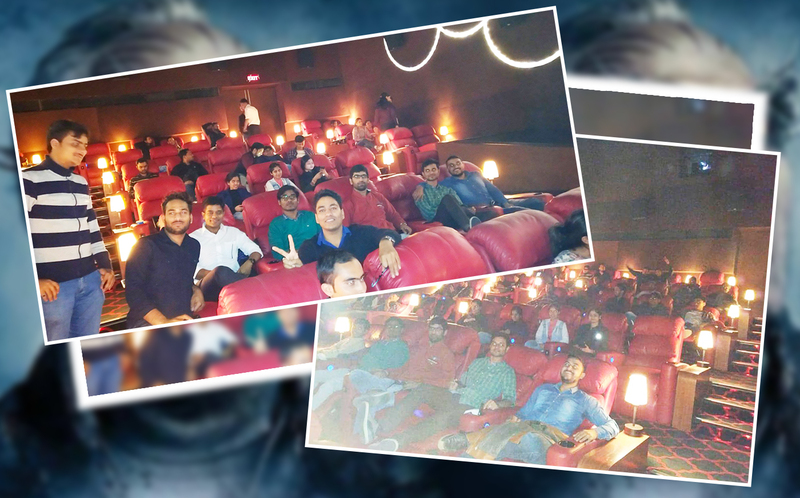 The Gold Class auditorium of the U.S. Cinemas, Ghaziabad is really a huge theater with recliners that can actually relax both your body and mind. In fact, the whole movie watching experience goes to the next level when you’ve had a long day and you get a luxurious place to watch your favorite stars on the big screen. As the movie started, everyone was served with the popcorn (without which every movie is incomplete), a yummilicious veg burger and a cold drink. Well, that got over too quickly but it was indeed a great treat from the management. During the intermission, some more photos were clicked and then the second half of the movie started. Everyone was glued to the screen and enjoyed their movie till the end. Well, all good things come to an end and the movie date had to come to an end as well. 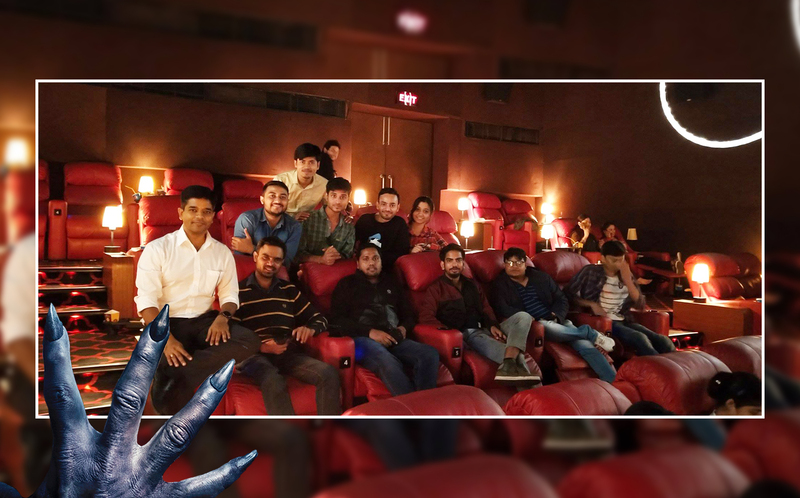 After the movie, as a custom in Velocity, a group photo was clicked and everyone bid goodnight to each other.